The Institute of Waste Management of Southern Africa (IWMSA) will collaborate with Messe München, the organisers of IFAT Africa, for the 2019 exhibition and conference. IFAT Africa is Africa’s leading trade fair for water, sewage, refuse and recycling. This year’s expo will take place at the Gallagher Convention Centre in Johannesburg from 9 to 11 July. IFAT Africa will see representatives and delegates from the water and waste management sectors gather under one roof. The event will cover issues such as water extraction, sewage treatment, waste disposal, recycling, environmental services and the latest technologies. The collaboration between IWMSA and Messe München aligns with the IWMSA strategy to expand partnerships with key industry players. “The institute is exploring opportunities as a new country member of the International Solid Waste Association (ISWA), which is in line with our stated goals to reach out and engage more stakeholders to address South Africa’s waste challenges,” says IWMSA President Leon Grobbelaar. 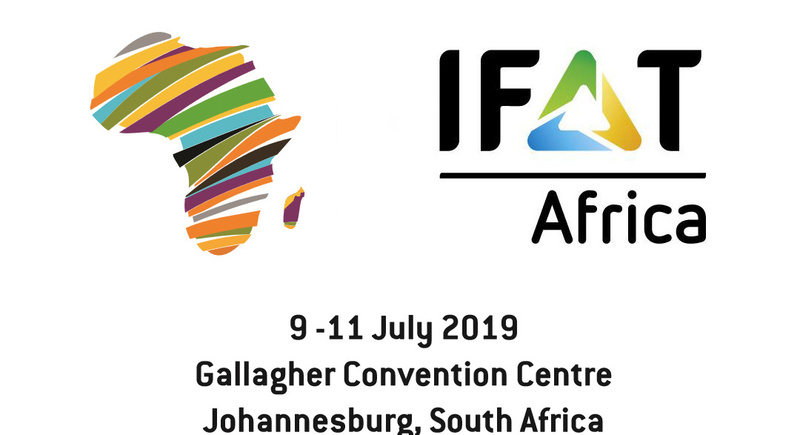 IWMSA will be offering waste management classes at IFAT Africa 2019. “We have approached leading academic institutions to collaborate with us in delivering master classes on topical issues such as landfill air space, waste-to-energy and the need for public-private partnerships to overcome the waste crisis,” explains Grobbelaar. The training sessions will unite the entire value chain and share knowledge among stakeholders. Common solutions can be found to the growing waste problems in Southern Africa at the IWMSA master classes. Many African countries have good waste management regulations set up, but some nations battle with enforcing these laws. “Finding solutions to these challenges means everyone in the industry must work together with the authorities to discuss concrete implementation plans and consider ways to drive investment into new waste projects,” states Grobbelaar. According to a United Nations Environment Programme (UNEP) report, about 90% of waste generated in Africa is dumped or burned. The report also states that 19 of the world’s 50 largest landfills are located in sub-Saharan Africa. This means that controlling waste in the region is vital for its environmental health. The UNEP report estimates that three-quarters of municipal waste in Africa is recyclable. “If uncontrolled dumping is replaced by the diversion of waste into reuse, recycling and recovery, this could unlock at least US$8-billion (~R112-billion) in resource value into the African economy every year,” says the lead report author Professor Linda Godfrey. IFAT Africa is the ideal forum to address these waste management problems. It presents good opportunities for industry leaders and stakeholders to collaborate on common challenges and find the best solutions. The expo is expected to bring together 6000 attendees.